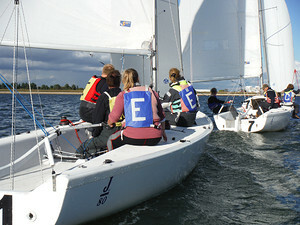 Each year London Corinthian Sailing Club organises race crews to compete in a wide variety of local, national and international sailing events. These events offer a range of opportunities to compete at all levels of the sport. In-shore racing on the Solent is very convenient from London. Races are usually over a weekend or even one day, allowing crews to assemble at the boat in the morning and return home the same evening, although race start times sometimes mean leaving London very early! 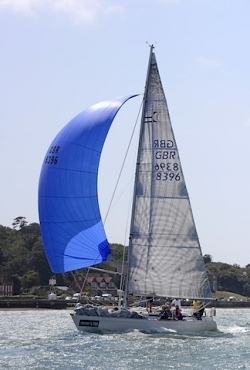 In 2015 we had Sigma 38 sailboats racing at both Cowes Week and Taittinger Royal Solent Regatta. In previous years we have had entries for Cork Week and Dartmouth Royal Regatta. We also have a number of club member owned boats taking part in the annual Round the Island race. In any given year there are only so many regattas we can enter but if there is sufficient interest to put a boat together we will do our best to meet that request. As with offshore racing email racing@lcsc.org.uk with the event you are interested in. The River Hamble is probably the hub of inshore keelboat racing in the UK. There are two series at the beginning and end of the season that Hamble is famous for The Hamble Winter Series and the Warash Spring Series. The Warsash Spring Series is a great way to start the season. 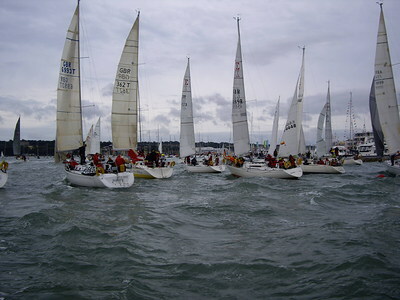 The racing takes place in the Central Solent over a series of weekends from late February through to mid to late April. As can be expected the weather can be cold in February but at the same time you can get glorious clear sunshine and blue skies. By the time series finishes in late April the weather is warming and Solent will start to get crowed again as people boats go back into the water for the new season. This is one of the most competitive racing series held all year with crews looking to hone their skills and boat speed for the season ahead. The crews at the front of the Spring Series fleet can be expected to carry that performance through to the end the season with the Hamble Winter Series. As a club we have had some success over the years at the Hamble Winter Series. As with the Spring Series this runs over a number of weekends this time from October through to December. As a club we have over the last couple of years run a One Design keelboat competition with Royal Thames Yacht Club on Queen Mary Reservoir to the West of London. This has given us the opportunity to race closely matched J80 keelboats at a venue close to the club. The J80's are easy to sail and make for an entertaining days racing. The Junior Offshore Group (JOG) is a yacht club with a difference. They were established in 1950 to allow smaller yachts to compete offshore, it organises highly competitive races for IRC rated yachts. The principle being that the competitors could be back at work in the City by 9am on a Monday. A number of LCSC members are also members of JOG. 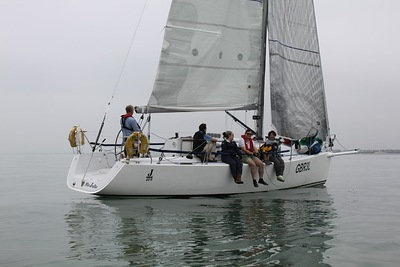 Over the last couple of years crews from LCSC have taken part in a number of individual JOG races sailing from Cowes to destinations such as Yarmouth, Poole, Cherbourg and St Vaast. Crews have sailed on both boats owned by club members and chartered yachts. Most years racing starts with a blast out to the Nab Tower, in the Eastern Approaches to Portsmouth, at the beginning of April then continues until the end of October with races every couple of weekends. The JOG races are split into inshore, short day sail length races and offshore, where the distances are greater and may include sailing overnight. The inshore races are a great way to start racing big sailing boats. It is not unusual for 30 or 40 boats to take part in a JOG race. Events usually end with a post race prize giving at a suitable watering hole at the destination port. 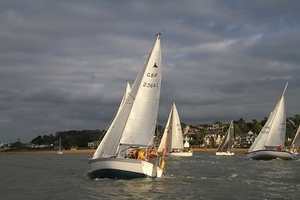 The Club also organises its own Club races over a weekend on the Solent. The Offshore Rally is an Club Racing weekend and socal on the Solent and is a good introduction to Yacht racing. Usually held in September on the free weekend in the middle of the Hamble Winter Series, it is one of the key events in the Club calendar and is usualy well attended with 6-10 boats joining in with some Round the Cans Racing followed by a party at one of the sailing clubs on the Solent.